This Champaign park spans 20 acres. Five of these acres were donated by Dorothy Zahnd, Karlene Zahnd Ornelas, Rhonda Zahnd, Shouldel, Larry Zahnd, and Samuel Zahnd in 1994. Another 15 acres were purchased that same year, and part of the funding came from an OSLAD Grant. 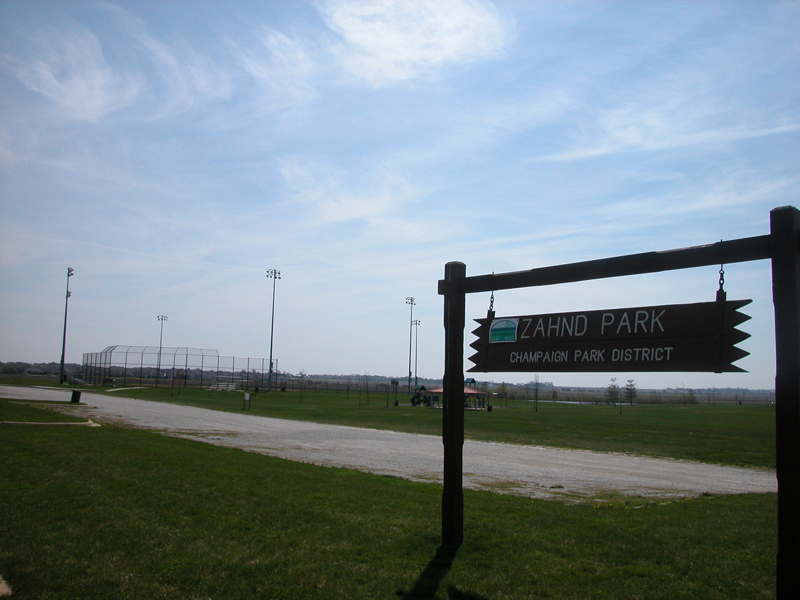 Zahnd Park is a large park in southwest Champaign. It offers many amenities, such as two lighted baseball fields, used primarily for little league, a football field, picnic areas, a shelter, drinking fountains, restrooms, and concessions open seasonally. There is also a playground. “Zahnd Park,” ExploreCU, accessed April 19, 2019, https://explorecu.org/items/show/144.